Opening Day April 27, 2019. Home to USSSA Tournaments, Showcases, USSSA Nationals and USA Elite Select events. 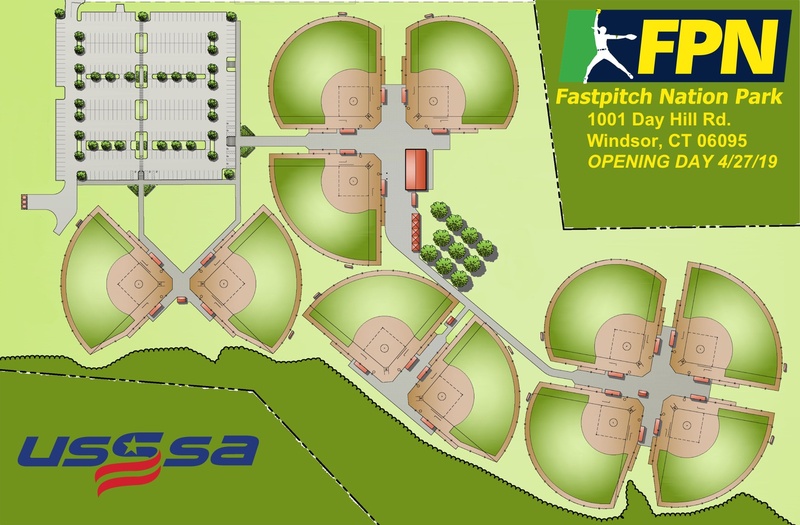 Conveniently located at 1001 Day Hill Rd., right off I-91 (exit 38) in Windsor, CT.
11 irrigated and fully fenced (black vinyl-coated chain link) regulation fastpitch fields. 24' tall, 100' wide-view net backstops and 5' perimeter fences. Weather-resilient red Alabama shale infields and natural turf outfields. Covered, enclosed and fully screened 8' tall dugouts for player safety and comfort. LED remote controlled scoreboards with built-in game timers at all fields. 3+ acre dedicated warmup up area for all teams. 3,200 sq/ft building for retail, storage and plentiful real bathrooms (11 women's stalls, 7 men's stalls). Free WI-fi throughout the park and free charging stations for mobile devices. Live streaming of all games on all fields throughout the park. Food court with a variety of food choices. 325 paved parking spaces directly attached to the fields with an additional 600 paved spaces on the property. 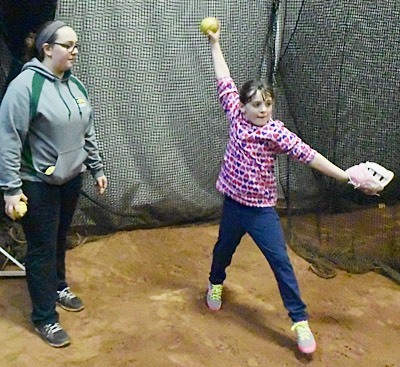 Get ready for the new season with FPN'S Annual 4-week, 1-hour pitching clinics. We offer 2 sessions on Mar. 9, 16, 23, 30. Cost is $120 for the 4 weeks. Join FPN pitching coach Jessie Rocha for this clinic. Get ready for the new season with FPN'S 3-week 90-minute hitting and bunting clinics. We offer 2 sessions on Mar. 17, 24, 31. Cost is $120 for the 3 weeks. 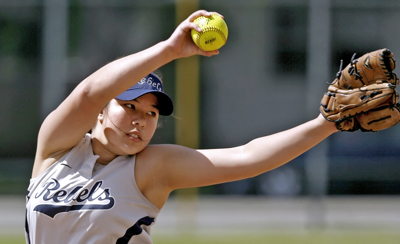 Don't start your season without taking this clinic. Join FPN and East Catholic High School coaches Taylor and Kierstan Skinner for this clinic. Nationals format is a 5 game guarantee, 3 game pool play followed by double elimination. 18U and 16U USSSA divisions. NEW 18U and 16U USA Elite Select divisions. Tournament format of 5 Game Guarantee over 3 days. 4 game pool play concluding with a single elimination tournament. 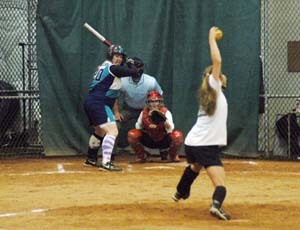 Our Indoor USSSA Tournaments are Open for registration. Fall Classic Tournaments in Nov. for 10U 12U and 14U. Holiday Tournaments in Dec. for 12U and 14U. Midnight Madness Tournaments in Feb. and Mar. for 14U, 16U and 18U. Spring Tournaments in Mar. for 10U, 12U and 14U.